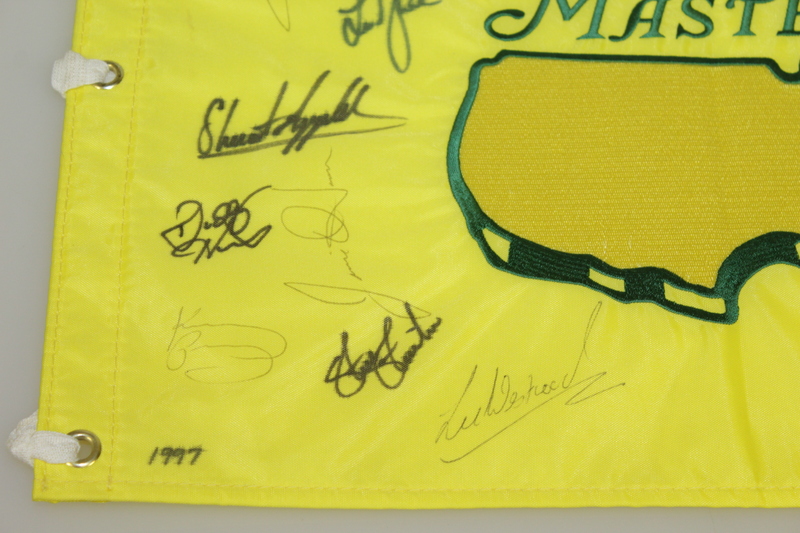 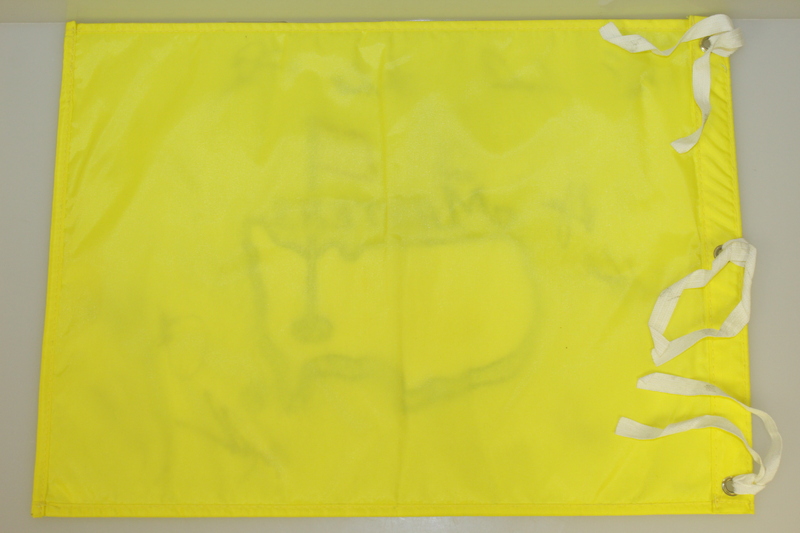 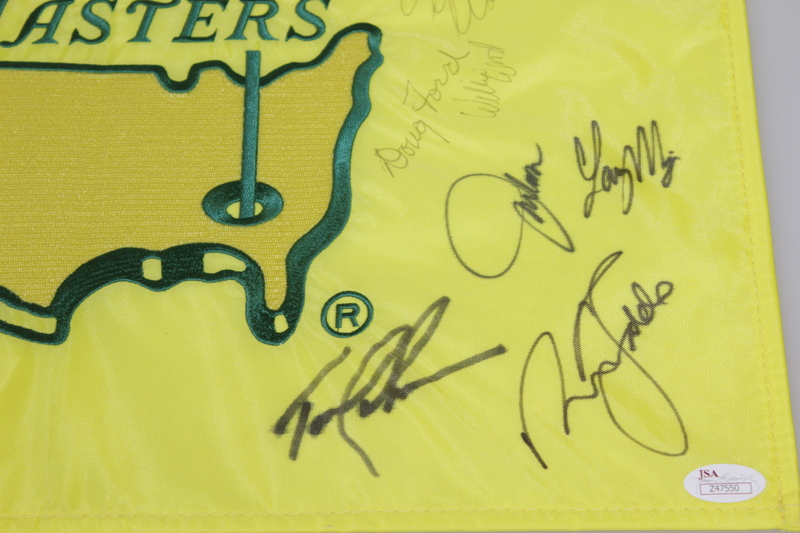 Offered here is the very seldom seen 1997 Masters Tournament undated flag. These flags in 1997 were made differently than the ones in the following years, the embroidering noticeably different in the center of the logo. These were produced just before the Masters flags became such a popular collector's item. 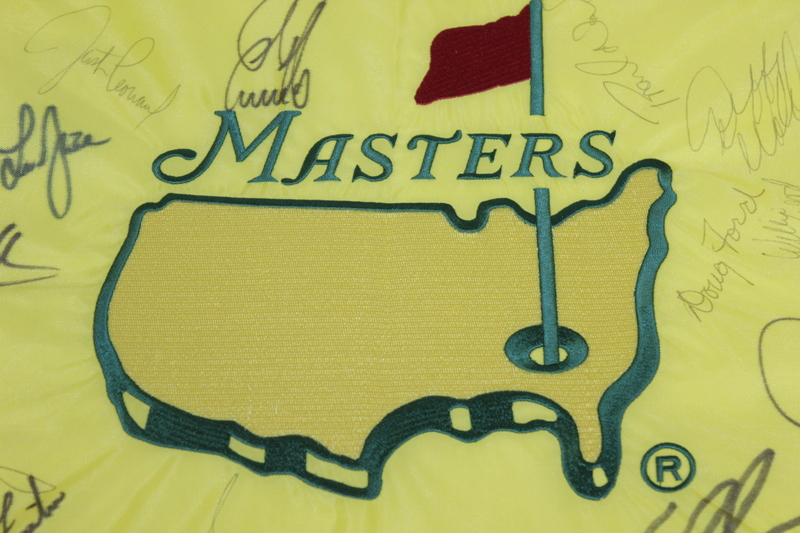 Of course the 1997 Masters saw young Tiger Woods make his mark on the golf world by claiming the first of his four green jackets in an incredible 12 stroke victory over Tom Kite. 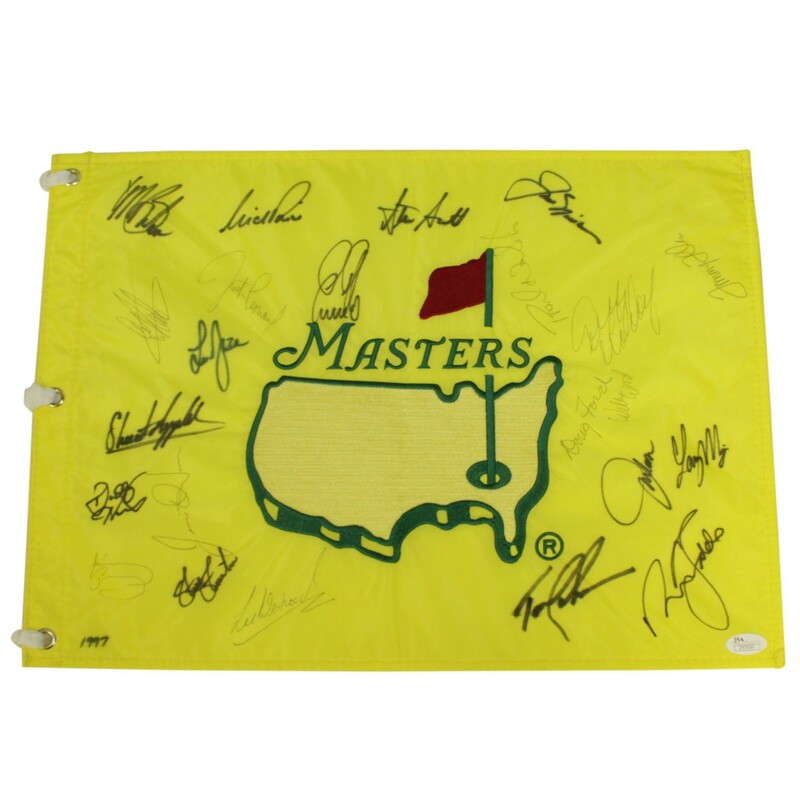 These flags don't come around too often, make sure to snag this one for your collection. 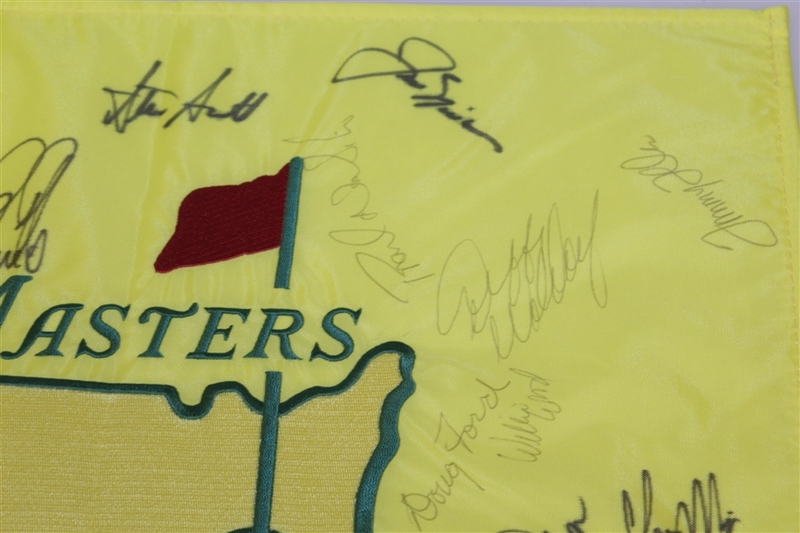 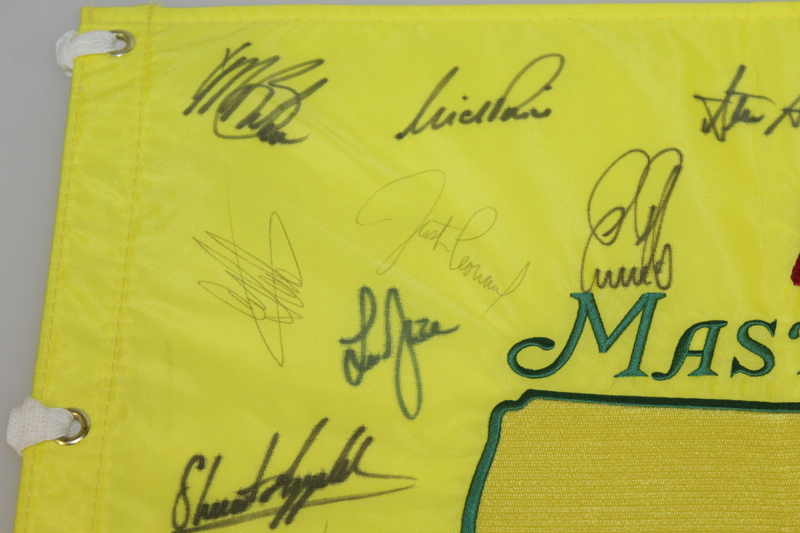 Signed by players who played in that Masters including Jack Nicklaus, Nick Faldo, Larry Mize, Doug Ford, Ernie Els, Nick Price, Justin Leonard, Craig Stadler, Lee Janzen, Stuart Appleby, Steve Stricker, Dusty Waldorf, Miller Barber, Tom Lehman. 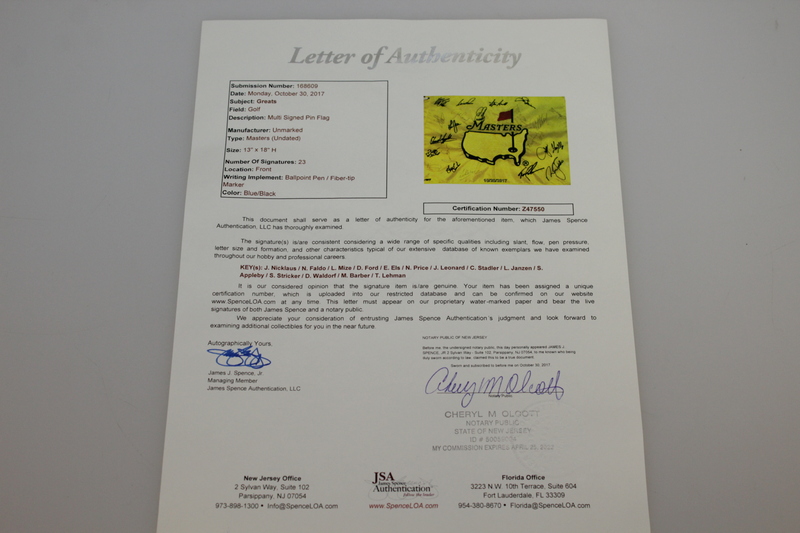 James Spence Authentication (JSA) full letter of authenticity comes with this lot.